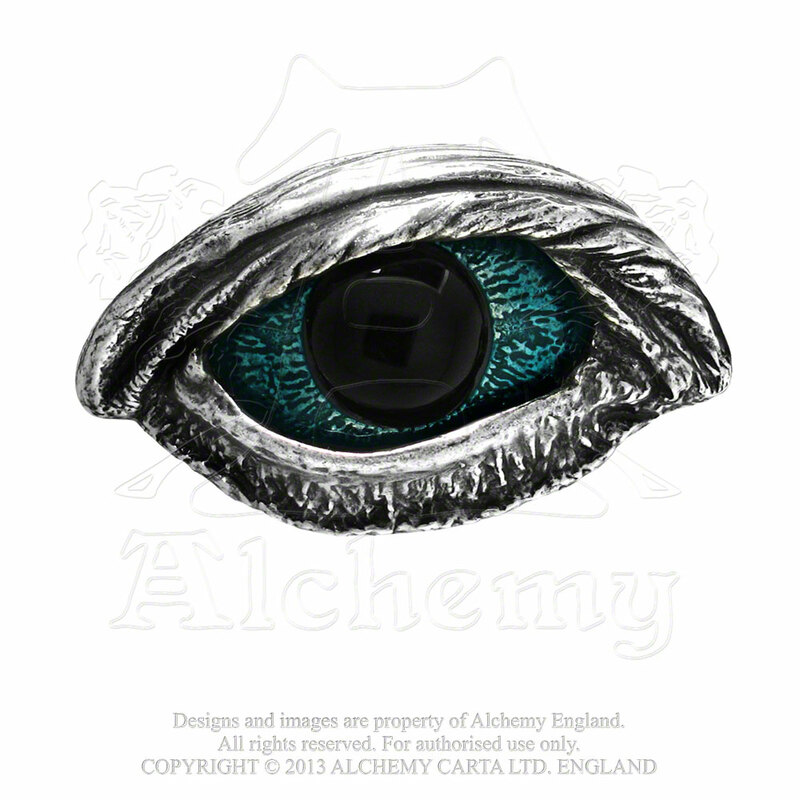 Inspired by Edgar Alan Poe’s repeated fascination with eyes, repeatedly expressed in his poems and stories, and in particular, ‘The Tell-Tale Heart’, in which the storyteller, the murderer, is haunted by the ‘pale blue vulture-like eye’ of the old man that is to become his victim. 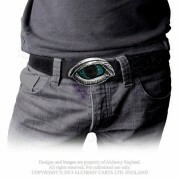 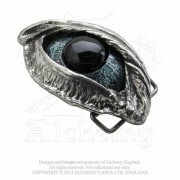 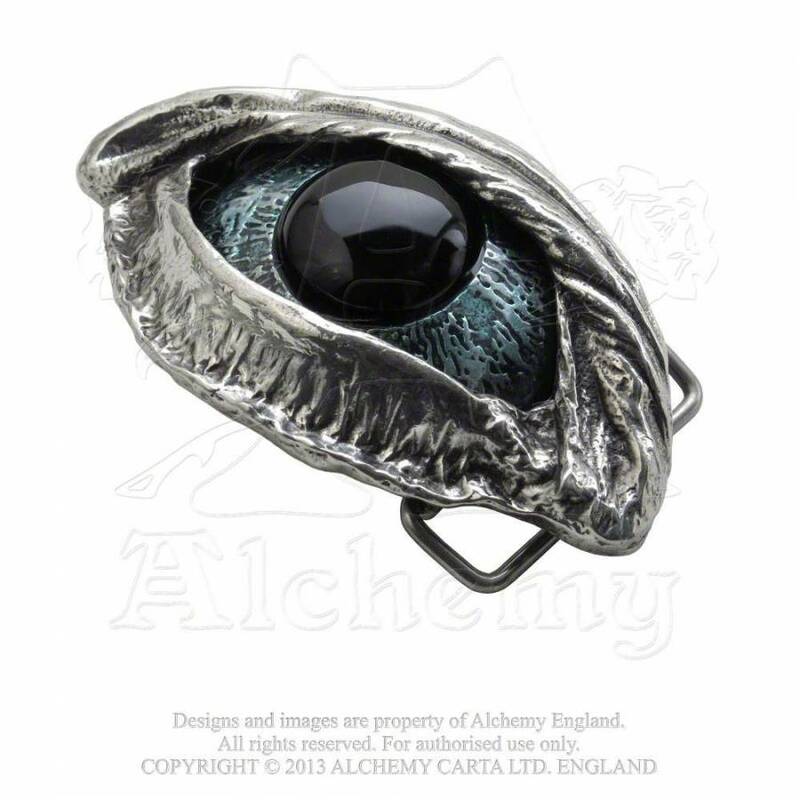 Pewter buckle of a human, vulture-like eye, with a black cabochon and blue enamel. Belt loop and prong on the back for fitting onto standard, 1 1/2″ belt straps.